I put up a tree. I even wrapped and bagged a couple gifts and put them underneath. 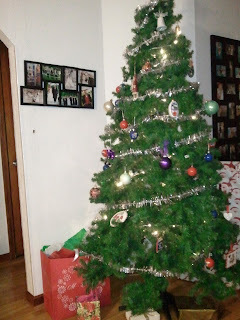 Every year I get really excited about my tree, so this isn't really newsworthy or interesting. But this holiday season has felt especially hectic, and I didn't get it up the weekend after Thanksgiving as usual. 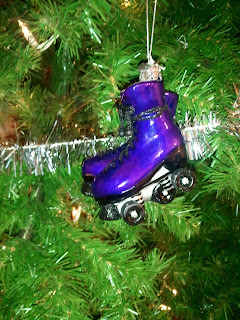 Mr. CookingOnSkates helped me decorate the following weekend. See? Tree! It probably looks pretty much like your tree, or maybe less fancy because we're not very fancy-pants. It's my parents' old tree, hand-me-down lights, garland from my grandma and exclusively gifted ornaments. The ornaments are the best part, and they're what I want to share with you. Check out what my teammate, Stitch Reaper, made for me. All of us Royal Pains have our own. 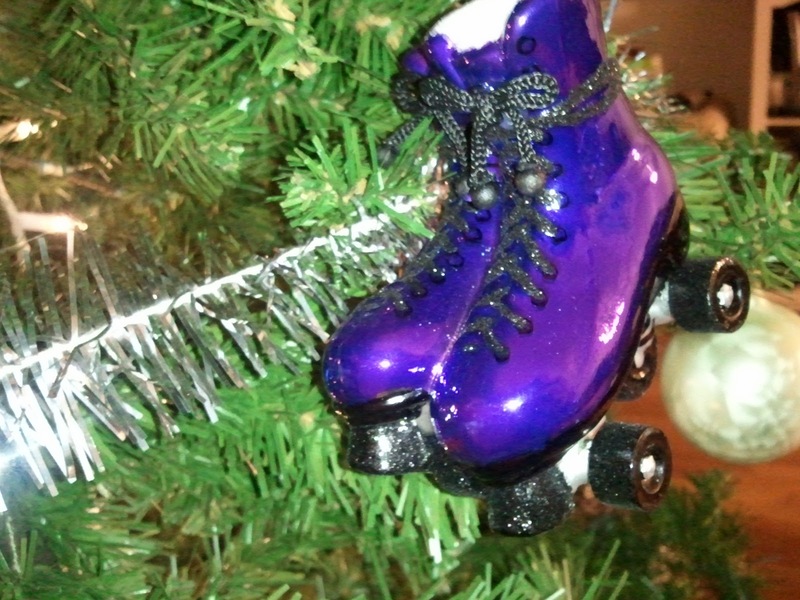 And check out this skate ornament my mother-in-law found. 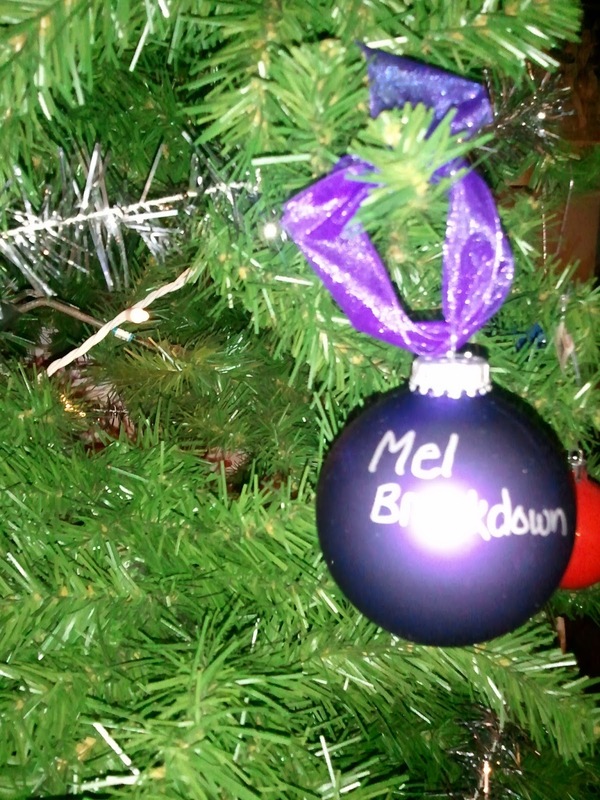 Would you guess that this ornament only comes in purple? She ordered it before I was drafted and it just worked out perfectly. Merging Christmas with roller derby is helping get me in the holiday spirit!